I just came back from North Carolina. I was on a trip to Mount Airy, North Carolina or Surry County located in the majestic Blue Ridge Mountains. I had heaven in a bowl while I was there. It was called Sonker. I told my children all about Sonker. I would say bragging is more like it. The question I was asked is what is Sonker? That is hard to say it is one man’s or woman’s cobbler but to me, the difference is the juice of the fruit. The Sonker we had didn’t have a crust. I have heard that some do. The one we had dough on top and the fruit just sunk right in there that may be where the name Sonker came from. It is fruit that has sunk into the dough or dough that sunk into the fruit. No matter what you call it you need to make it! The recipes are as unique as the people who created them. The Sonker was the best dish I tasted on my journey in Mount Airy, North Carolina although there were many which you can read about in my post what to eat in North Carolina. What is Sonker many of you may wonder? It is a fruit or sweet potatoes made into a sugar and cream sauce topped with dough. The rumor is you used what you had available to bring to people who were working on your farm. That means you can use any kind of fruit apples, strawberry, blueberry, blackberry, raspberry, cherries, peaches, dewberry, blackberries as well as, a vegetable, or two: Rhubarb works well, and one of the most popular varieties is made with the sweet potato. Sonker evolved to the must have dish at every event. I used these because I am doing a dinner party and I wanted to be fancy. 2. Melt the butter and put into 9×13 baking dish. I melt the butter directly in the dish. I put it into the oven as it begins to preheat. 3. Then in a saucepan or cast iron pan you warm the fruit. and 1/4 cup of the sugar sprinkled on the top. Cook until it starts to bubble and the fruit juices increase. 4. 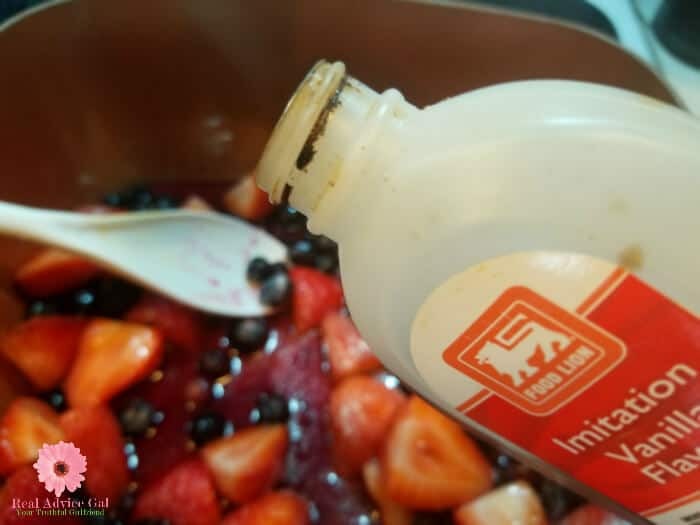 Stir in the 1/4 cup of the sugar Cook until it starts to bubble and the fruit juices increase. 5. Cook the fruit until it starts to bubble and the fruit juices increase. 6. In a separate bowl mix together the flour, the rest of the sugar, vanilla, and milk. 7. 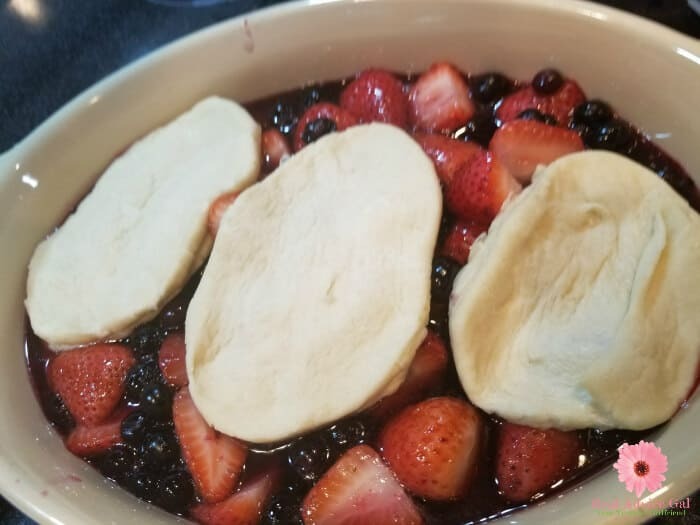 Pour the fruit into your baking dish, then pour the rest of the ingredients all over the fruit. 9. Bake for 40-45 minutes or until top is golden brown. 10. Let this cool down a little bit before serving so you can place ice cream or whipped topping on. 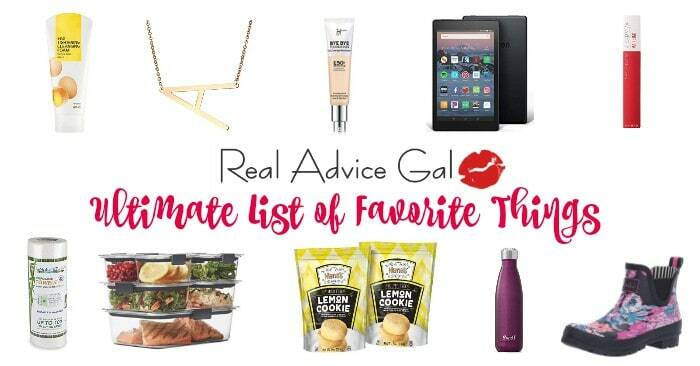 If you are looking for more food treats I ate while in North Carolina try my Low calorie baked Pickle Recipe. Sonker is the perfect treat. I really enjoyed my trip to North Carolina if you want to see what else you can do in Mount Airy North Carolina read my post. What did you use to make your Sonker? Do not forget to top it with ice cream this is our homemade berry ice cream. I love this video you can see a place I visited. I didn’t have their Sonker but I had their famous sandwich. Easy sonker recipe. A deep dish dessert. Melt the butter and put into 9x13 baking dish. I melt the butter directly in the dish. I put it into the oven as it begins to preheat. Then in a saucepan or cast iron pan you warm the fruit. and ¼ cup of the sugar sprinkled on the top. Cook until it starts to bubble and the fruit juices increase. 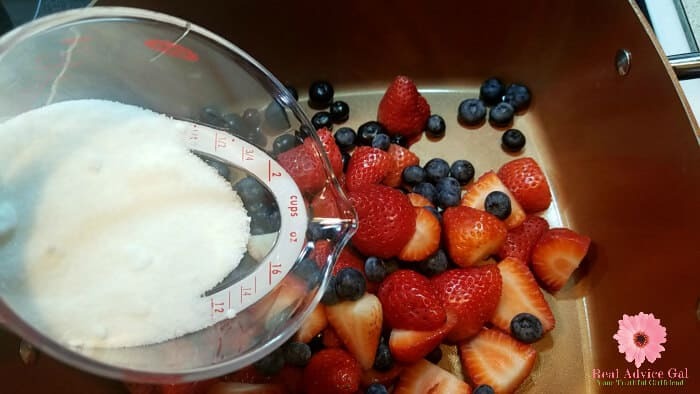 Stir in the ¼ cup of the sugar Cook until it starts to bubble and the fruit juices increase. Cook the fruit until it starts to bubble and the fruit juices increase. In a separate bowl mix together the flour, the rest of the sugar, vanilla, and milk. 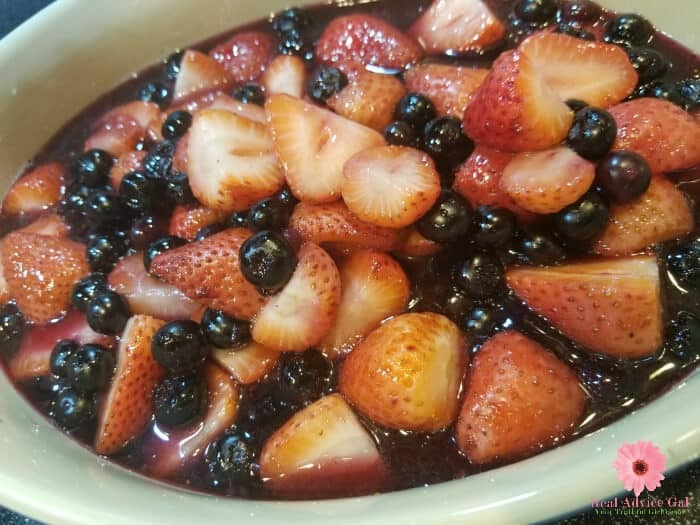 Pour the fruit into your baking dish, then pour the rest of the ingredients all over the fruit. Bake for 40-45 minutes or until top is golden brown. Let this cool down a little bit before serving so you can place ice cream or whipped topping on.